We’ve seen a lot of incredible things made out of LEGOs but this new computer made out of the colorful building blocks might just be the most intricate! Designers Jeroen van den Bosand and Davy Landman created the Turing machine, a type of primitive computer first made by father of computer science Alan Turing, from a single LEGO Mindstorms NXT set. The fascinating machine is currently on display at an exhibition dedicated to Turing in Amsterdam. Manipulating the toy blocks into a sophisticated system of wheels, gears and pulleys, Van den Bosand and Landman combined the building blocks with a robotic system to operate and fully illustrate Turing’s theory. In case you’re not familiar with the history, Turing came up with the original Turing machine, which later became the first system to lead to the development of the modern day computer. 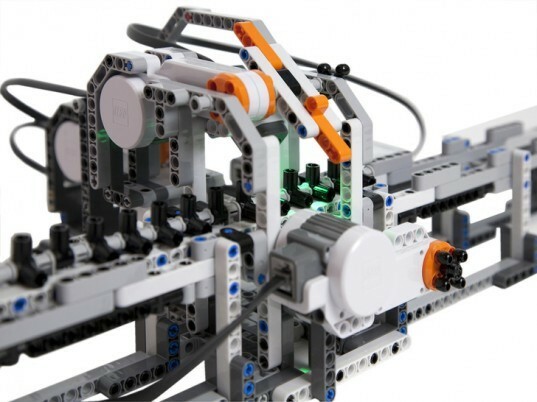 The oblong LEGO device records the Turing machine’s movements on a table, which is advanced along a track with the help of a motor powering the LEGO wheels. A sensor reads directions, and causes an orange lever to move and switch direction. Van de Bosand and Landman had the machine perform a series of simple tasks, like adding two plus two. The answer is revealed when the lever moves the LEGO pieces to align four in a row. 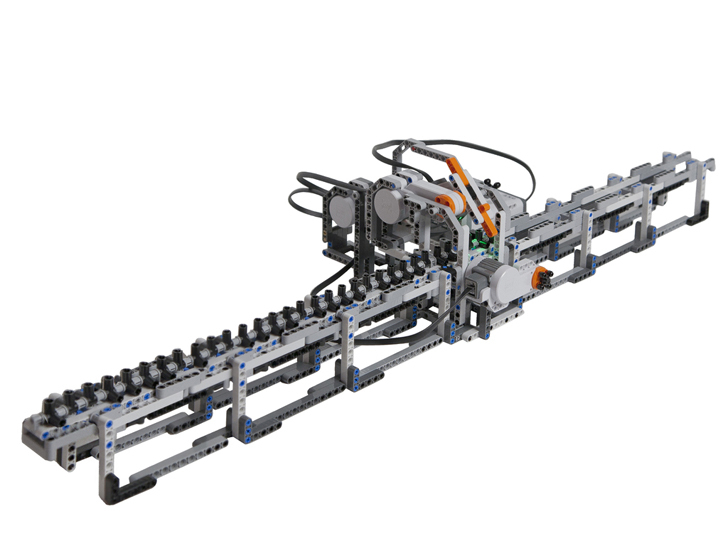 The LEGO Turing machine has 32 positions in which to manipulate answers, as opposed to the Turing Theory which has an infinite tape to record answers on. The LEGO Turing Machine will be on display at Centrum Wiskunde & Infromatica in Amsterdam for the Turings Erfenis exhibition until October.